MEMBERS of a Dale riding club have ridden their way into a championship competition. Barnard Castle and Teesdale Riding Club entered both the junior and senior sections of the Area 2 dressage qualifier for the British Riding Club in Burnhope, County Durham, on January 28. 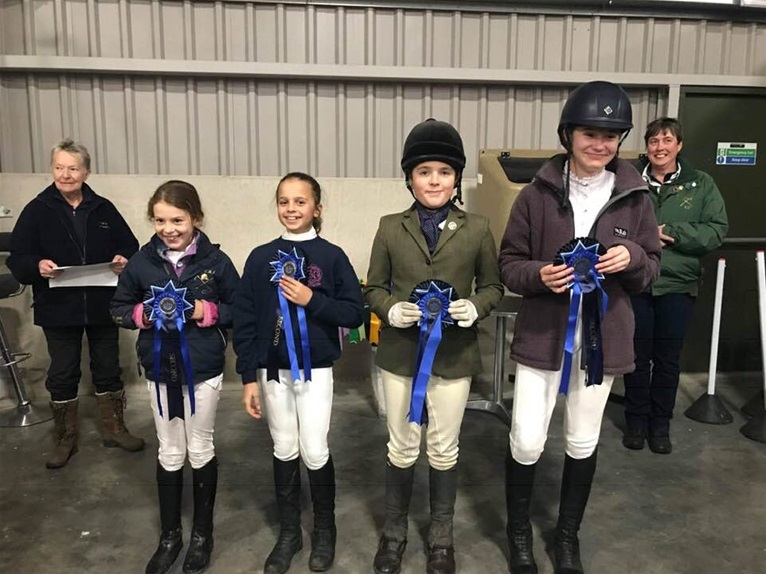 The junior team, which was made up of Pippa Sinclair, Charlotte Merrigan Martin, Polly Nicholson and Jessica Smith Straughn rode their socks off scoring three first and third placing which secured the title and allowed them to qualify for the nationals. The senior team, which consisted of Fiona Kearton, Shaun Malpass, Nikki Lawson and Kate Lee, also took the senior title. The teams will now represent Area 2 at the KBIS British Riding Club's national dressage championships in April where they will compete against 22 teams from ten riding clubs across the country. Several members also qualified as individual riders at the championships, with some competing for the first time. A spokesman for the club said: "All the teams members were over the moon with the results, a lot of hard work and dedication has gone into this result and paid off." Here is the BRC Grassroots League Table. Please note - scores earned on different horses have now been split by BRC. Our club members are highlighted in yellow. Currently in the Nation top 10 are Emily Barningham, Hannah Straughan, Jessica Smith-Straughan, Phippa Morgan and Sarah Wilkinson. The official result for the Intermediate Dressage Qualifier have been published on the Area 2 website. Cara May Riley 1st in novice 30 and Area 2 qualifier for the Intermediate championships. Well done folks. It was a very competetive day with terrible weather conditions. Fantastic results for both Senior and Junior competitors individually and even better results for their combined Team efforts. It was a long day and all our competitors, juniors and seniors, gave a good account of themselves. For some it was their first experience of Area Competition and both riders and their mounts rose to the occasion. Praise has to be given to our Junior competitors who ages ranged from 8-14, they behaved impeccably and all came away with big smiles on their faces and eager to compete again next time. Our Club would like to thank the organisers and the vast team of volunteers who worked so hard to make the day as enjoyable as it was.